Are Snapea Crisps healthy? They’re made from green veggies, so it’s easy to think they’re a healthier snack option than, say… potato chips. But potatoes are veggies too. Some products are specifically made to appear healthier than they are. Snapea Crisps appear to be actual peas that have just been crisped. They’re called Snapea Crisps after all, and they’re shaped like peas, so when you look at them, you’re supposed to think they’re just crispy snap peas. But from what I can tell, that’s not how they’re actually made. From the ingredients and the physical makeup of the snacks themselves, it looks like some peas and other ingredients have been mashed up and formed to look like peas. Food products that appear healthier than they are can be tricky for consumers. When we think we’re eating something full of nutrition, it’s easy to be less careful about how much of it we eat. This is a phenomenon that’s so common, we dietitians have a term for it: “nutrition washing.” A product that’s been “nutrition washed,” like these Snapea Crisps, is always a big red flag. 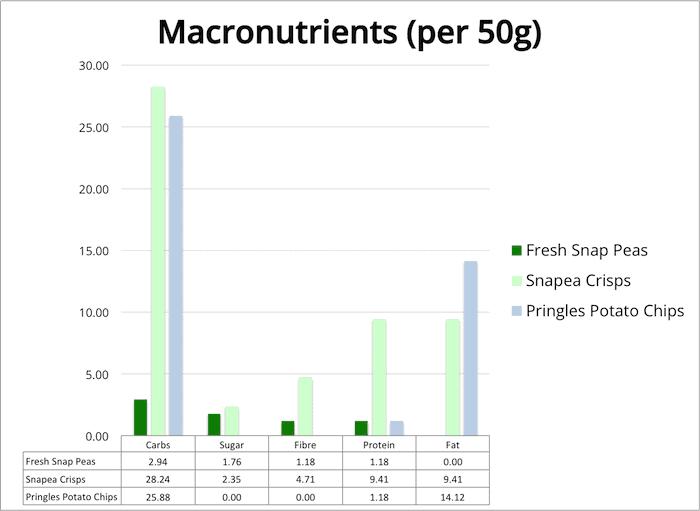 In reality, Snapea Crisps are a cross between green peas and potato chips, so as you might expect, the nutrition info is also a mix of the two. But nutritionally speaking they’re more similar to a chip than a vegetable, and they should be eaten as such. Take a look at these comparisons. Obviously here the fresh snap peas come out ahead. 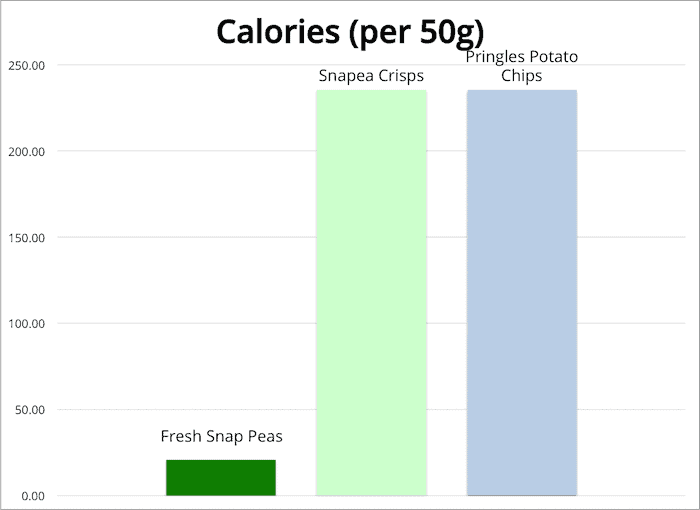 Snapea Crisps are no better than chips when it comes to caloric density. For those watching their sodium levels, obviously the fresh snap peas are the way to go. Fresh vegetables are generally going to have a number of other significant benefits over a packaged snack. For example, you get a larger volume of food with fresh snap peas. Snap peas are about 90% water, whereas processed snacks have virtually no water content. So the snap peas take up more space, making them visually more satisfying, and literally more satisfying to hungry stomachs. 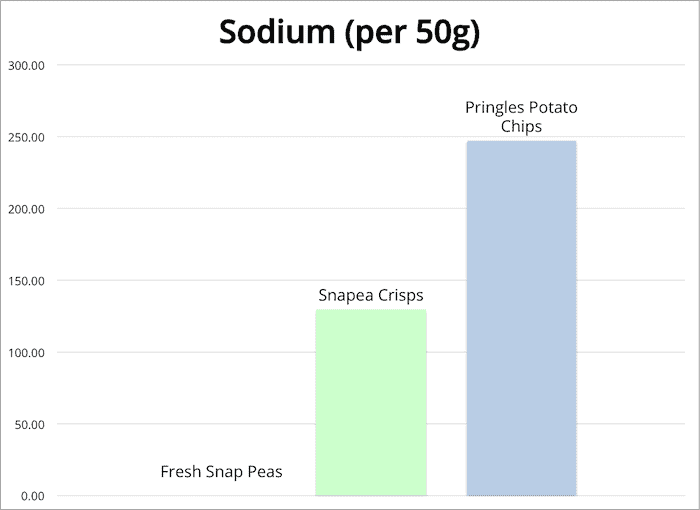 Fresh snap peas are a terrific source of micronutrients like Vitamin C. Unfortunately the processing involved to make these crisps destroys all of it. Speaking of processing…. there are some things that don’t make it on to the nutrition facts label. When food is processed, chemical changes occur. We’re only scratching the surface of what these changes are and what health effects they have on our bodies. Acrylamide is a chemical that is formed during the heat processing of foods that are high in carbs and low in protein. Acrylamide is a known carcinogen (causes cancer). Side note: this is one reason I shy away from breakfast cereals! While we don’t have enough research data yet to know exactly how much acrylamide is too much, it’s probably best to keep intake low. Humans may metabolize acrylamide differently than animals, so it could be a moot point, but we just don’t know! Acrylamides are also found in coffee and we know that coffee consumption is linked with health benefits. It could be that all the good anti-oxideant and anti-inflammatory properties of coffee outweigh the bad. Another thing that processing does is break down the structure of the whole food. When you eat a snapea crisp, it simply dissolves in your mouth. It doesn’t take much chewing and the crisp has disappeared. Without much chewing to slow you down, it’s easy to just chow down on them and plow through a bag quickly. I did a mini experiment with my family. We counted how many times we needed to chew in order to reduce a snapea crisp to the point at which you would usually swallow it. We did the same with a fresh snap pea. The results? It took more than twice the number of chews to eat a fresh snap pea! When you eat slower, your body has a chance to realize you’re eating and send the appropriate fullness signals to your brain to tell you when you’ve had enough. In general, the less processing of food, the better. On the continuum of food health, Snapea Crisps are somewhere between fresh snap peas and potato chips, but they’re MUCH closer to potato chips. If you’re looking to replace your potato chips with a healthier snack, these will work, as they’re lower in sodium and have fibre and protein. However, if you’re thinking this snack will be nutritionally similar to fresh snap peas, think again. My little family tried these snacks. My four year old loved them. But my husband and I found the first bite rather flavourless. It seemed a bit like snacking on sawdust. They do have a weird way of getting tastier with each bite, making you want more and more. So they’re still enjoyable in the end, but I don’t really find this to be an appealing characteristic for a snack. I like my snacks to be tasty and enjoyable right off the bat, rather than through mindless repetition. So, are Snapea Crisps healthy enough for this dietitan to recommend them? Well, if you love eating chips and enjoy the way they compel you to eat more of them, these pea snacks may serve you well as a slightly healthier alternative. Personally, I much prefer to eat actual snap peas (which are very tasty anyways), get the full nutritional benefit from them, and then snack on something truly delicious instead of a mediocre processed snack. This approach is probably better from a nutritional standpoint, but most importantly it gets you the most enjoyment out of your food! 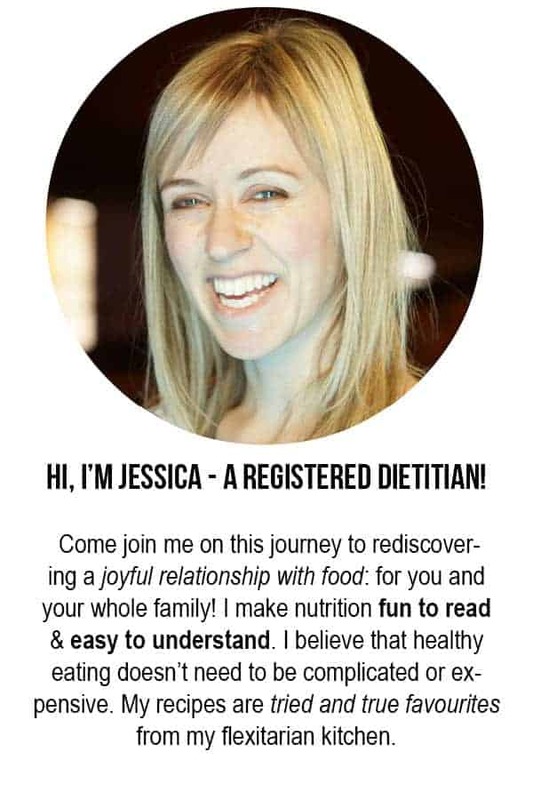 This article is part of my Virtual Grocery Store Tour series! They have a great flavor, but are awfully oily. They would be much better with less oil added. My hands get all oily when I eat them and that means it’s not healthy for our arteries and inflammation. Oil causes both. Hopefully you guys can find a way to use less oil and save some money in the long run too.